The route I was intending to take was mainly influenced by political circumstances. At the beginning, I wanted to ride along the east coast of the Mediterranean Sea but nowadays any routes through Syria are almost impossible. 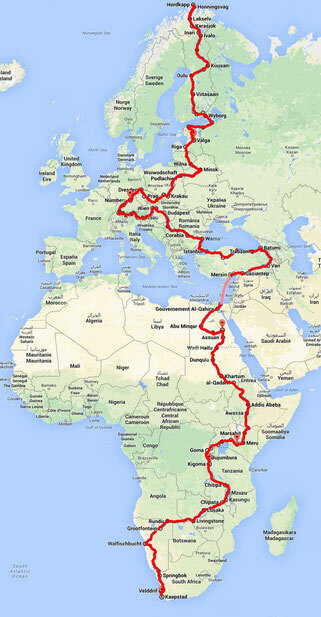 Therefore I choose the route through the area of Iran, UAE, Oman, and Yemen. Currently Yemen seems the most instable country so I may end up taking the ferry from south Turkey down to Egypt.